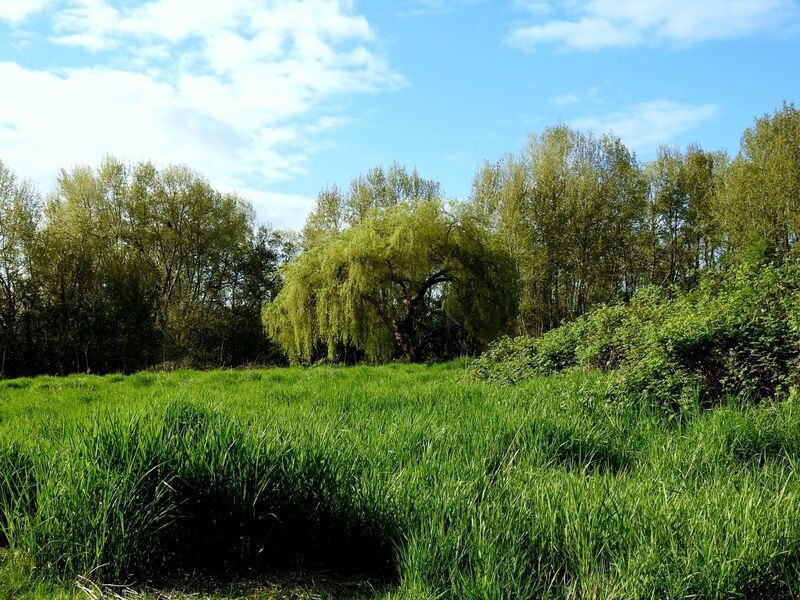 The North 40 Dog Park is a location in Ladner near the Boundary Bay Airport. 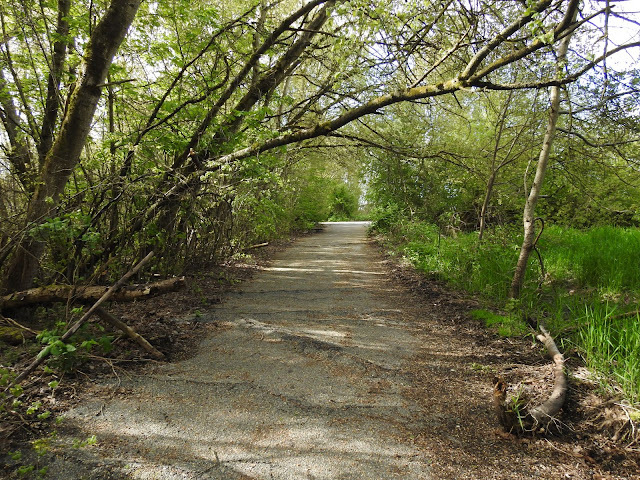 It was formerly a Canadian Forces landing strip and communication station and was active during World War 2. It was abandoned in the early 70's and Delta took it over. It is primarily used by dog owners as they can let their dogs run off-leash. It is also popular with birders, especially during spring. All the buildings are gone, but the paved roads remain, and there is a spectacular collection of trees, shrubs and some marshy areas. This is a typical path in the park. And here's some of the greenery. 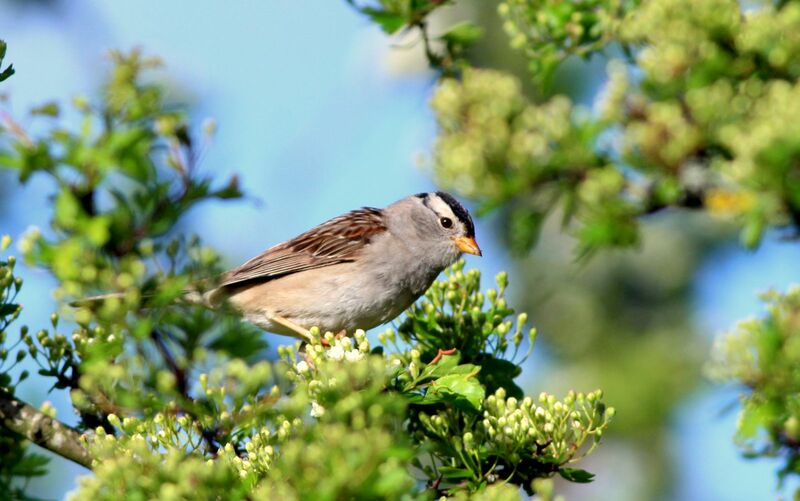 The first bird I heard was the familiar White-crowned Sparrow. There were still many Eagles overhead, the numbers down a bit from the peak Winter abundance. I did not see much else until I reached a Marsh area near the south end of the reserve. I was hearing the song of a Common Yellowthroat, and managed to spot a female in a nearby bush. 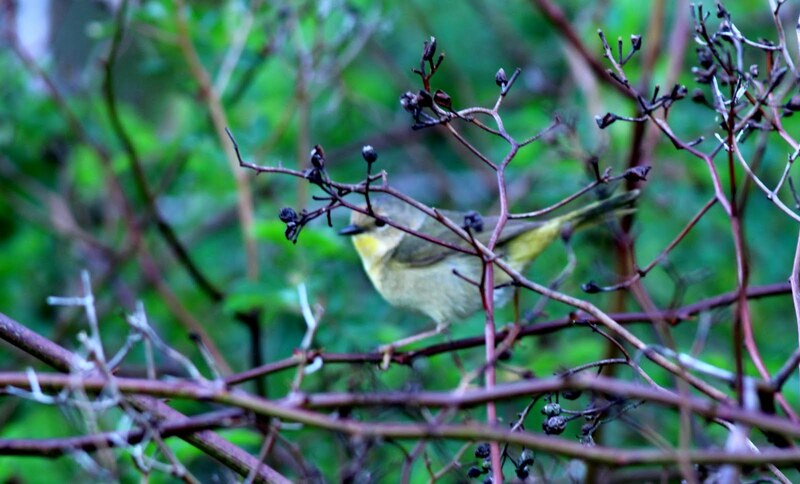 This branches in front fooled the auto-focus and the bird was gone before I could manually adjust. I was trying to capture the singing male when I noticed a different bird nearby. 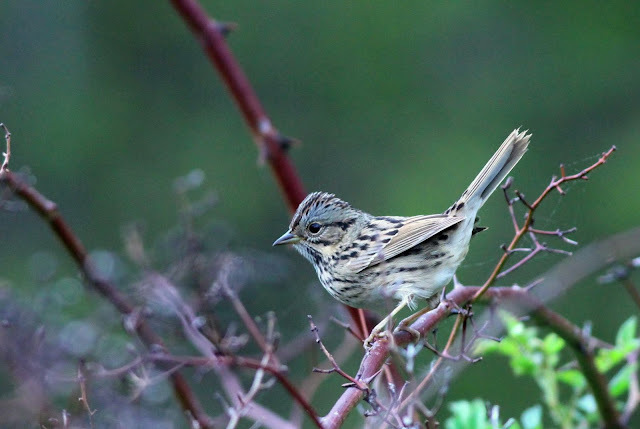 My first thought was Song Sparrow, but I quickly realized it was a Lincoln's Sparrow. It was much more cooperative for the camera. I love the colouring on this bird. 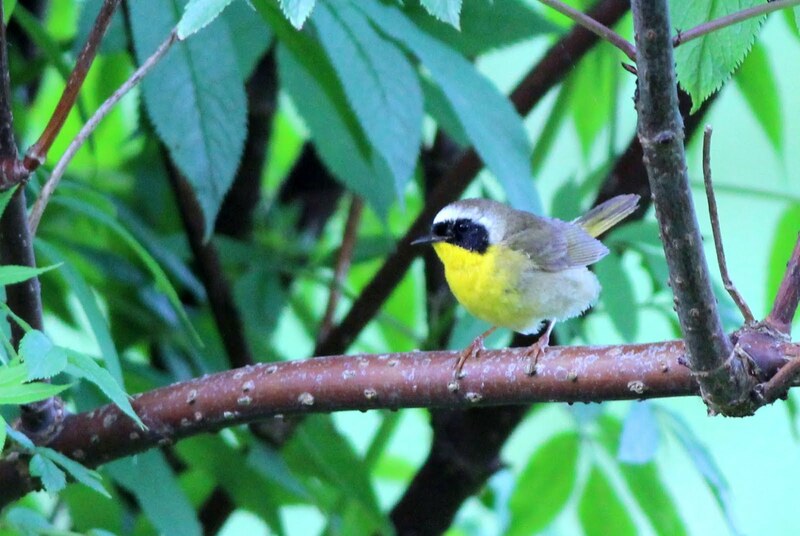 The male Yellowthroat was still singing nearby and I managed a couple of acceptable shots of him. 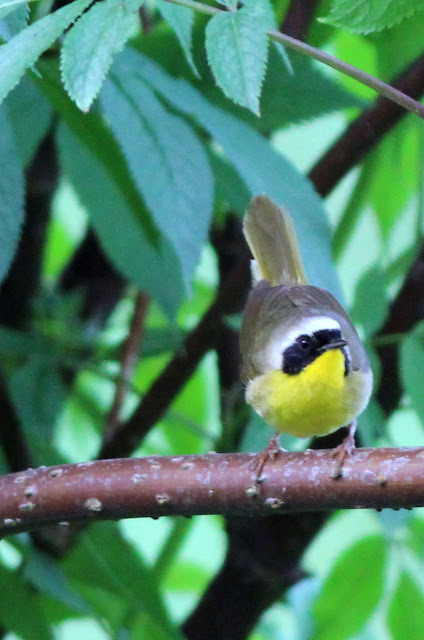 Getting a good shot of the male is always tricky as the black face causes exposure problems. And they never sit still for more than a second or two. As I was heading back I ran into another photographer who told me he saw a Cooper's Hawk on a nest at the south end of the park near the marshy area. He warned me to be careful as the hawk had charged at his head. 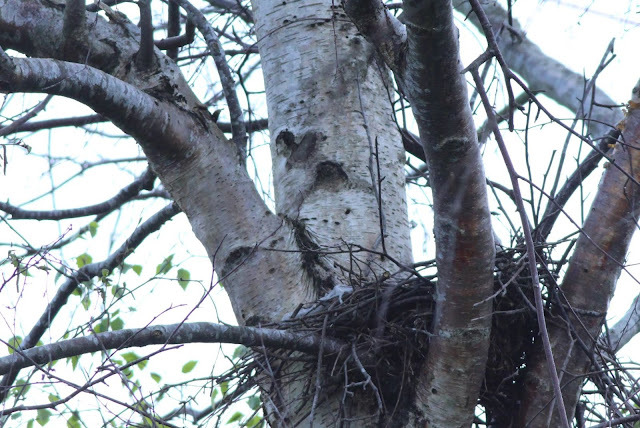 I headed back and spotted a large nest about 100 meters away. I walked around and got a closer look from the side, trying to be inconspicuous. I took this photo. If did appear to be a Cooper's but something was not right. 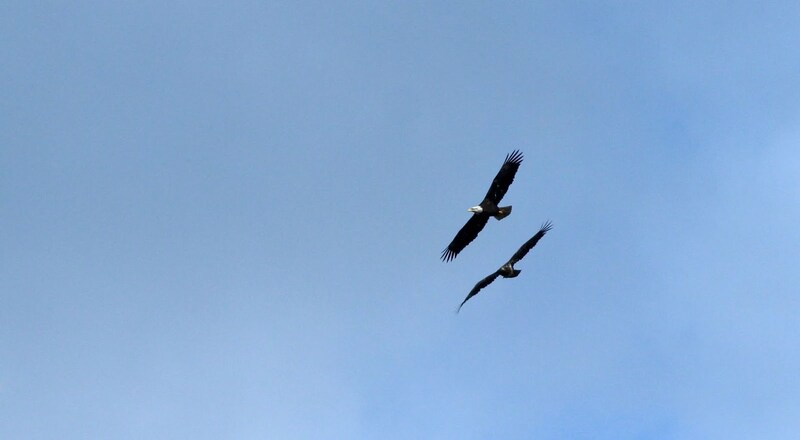 I took out the Nikon and zoomed in closer. 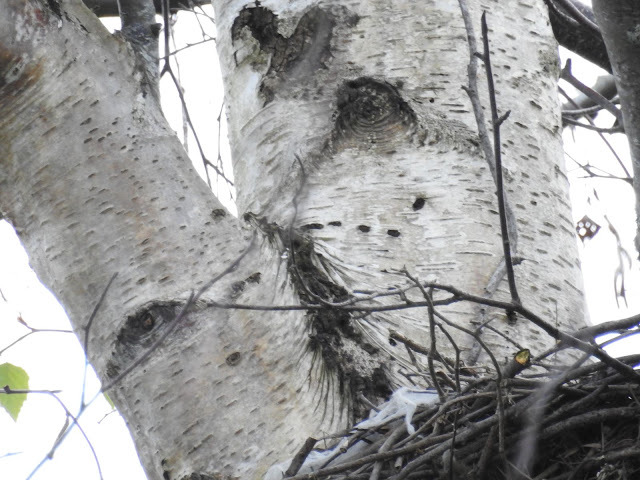 Either this is one well camouflaged hawk, or someone is very artistic. I call it a Cooper's Hoax. I think the warning was to prevent me from getting a closer look. 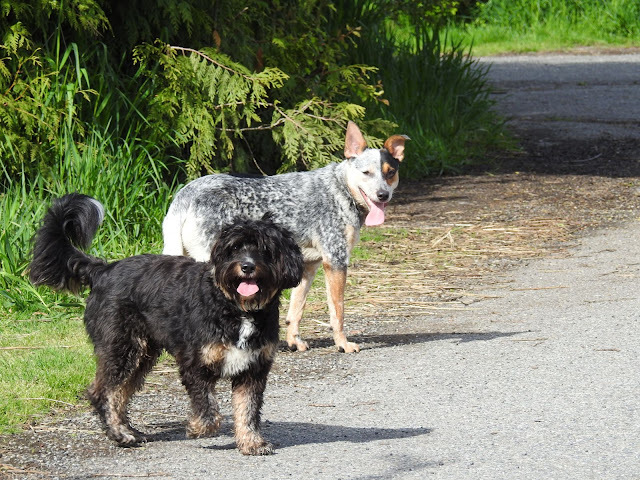 And since this was a dog park, here's a couple I saw. The one in the back is a Blue Healer, a breed that my sister Patty had for many years. And that was the end of this outing.